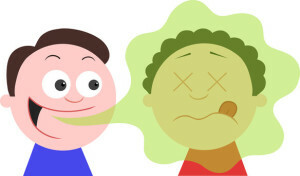 Bad breath, also known as halitosis, is often a source of stress and anxiety among many people. While mints, gums, mouthwashes, rinses, and other products are marketed for the purposes of fighting this problem, most such products only provide temporary relief because they do not address the root of the issue. A number of factors can contribute to bad breath. If you have tried resolving the problem on your own at home, it may be time to schedule an appointment with your dentist to ensure the issue is not related to a more serious health condition. Halitosis is primarily caused by the millions of bacteria that live inside the mouth. The moist, warm conditions of the mouth provide the perfect breeding ground for such bacteria. In many cases, bad breath is actually quite normal. For instance, morning breath is simply the result of changes that occur inside the mouth during the night. Saliva is responsible for washing away odors and food particles during the day. Since the body produces less saliva at night, the dead cells produced by bacteria are not washed away, leaving a foul odor. What Are the Symptoms of Halitosis? The primary symptom of halitosis is a foul odor coming from the mouth. It’s not uncommon to worry that you have bad breath, when in fact, you may have little to no odor coming from your mouth. In some cases; however, you may have bad breath and not even be aware of it. If you are concerned about the state of your breath, have a family member or a trusting friend check your breath. If they confirm that your breath does smell, it is important to assess your oral hygiene habits. A few simple lifestyle changes could be all that is needed to correct the problem, such as using dental floss, brushing your mouth as well as your tongue after meals, and ensuring you are drinking enough water. If this is not enough to get rid of the smell, you may need to schedule a visit with your dentist to learn how to get rid of bad breath. While halitosis begins in the mouth, there could actually be many different causes for it. One of the leading causes is food. When food particles break down in the mouth, it can result in an increase in the production of bacteria, which leads to a foul odor. You may notice that eating certain foods, such as spicy foods, garlic, and onions may make your breath worse. Using tobacco products, which can increase your chances of developing gum disease, can also result in an unpleasant smell. Poor dental hygiene is another leading cause of bad breath. Failure to brush and floss daily allows plaque to form on your teeth. 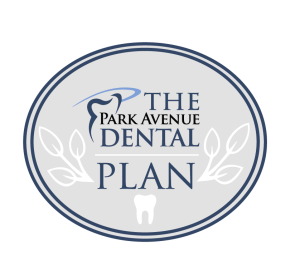 If it is not removed, plaque can lead to an irritation of the gums and eventually cause gum disease. Bacteria can also become trapped on the tongue, resulting in odors. Individuals who wear dentures may also experience problems with bad breath, particularly if the dentures are not cleaned on a regular basis or do not fit properly. Other common causes of halitosis include dry mouth. Since saliva plays a big role in cleaning your mouth, if you have dry mouth, it becomes difficult to remove the particles that can lead to odors. You may experience chronic dry mouth if you take certain medications. Certain health conditions, including infections in the mouth, can also lead to bad breath. Regardless of what the cause of your halitosis may be, it is important to find a solution. Finding the right treatment can alleviate any embarrassment you might experience over your breath as well as treat underlying health conditions that may be contributing to your halitosis. Practicing good oral hygiene consistently is one of the best steps you can take to eliminate odors. Depending on the cause, you may find it necessary to seek further treatment. If your dentist believes that your halitosis may be the result of an underlying health condition, he or she may refer you to a primary care physician or specialist. A variety of dental measures can be used for treating bad breath. Toothpastes and mouth rinses can help to kill the bacteria in your mouth that may be contributing to the production of odors. If your problem is severe enough, over-the-counter products may not be sufficient. When that is the case, your dentist may recommend rinses and/or toothpaste products that contain special antibacterial agents. If your halitosis is the result of a dental disease, it is imperative that this condition be treated to prevent future problems. Gum disease can result in the gums pulling away from the teeth, allowing deep pockets between the teeth and the gums to form. These pockets can harbor bacteria. In order to treat the problem, a professional cleaning may be required. There are also steps you can take at home. For instance, make a point of brushing your teeth after each meal. You may find it helpful to keep a toothbrush with you at work or while you are on the go. Flossing at least once a day is also recommended to remove plaque and food particles from between the teeth, where a toothbrush cannot reach. It’s also a good idea to brush your tongue, which can trap bacteria. If you have a coated tongue with a tremendous amount of bacteria, either from dry mouth or smoking, you may find it useful to use a tongue scraper or cleaner. Denture wearers and individuals with dental appliances, such as a retainer, should make sure they clean their dentures or appliances at least once a day. Drink plenty of water and avoid smoking in order to prevent dry mouth. Sucking on sugarless candy or chewing gum throughout the day, especially after meals, can also help to stimulate saliva and prevent dry mouth. In severe cases of dry mouth, your dentist may recommend using an oral medication that can help to stimulate the production of saliva. Changing your diet can also be helpful. It is best to avoid consuming foods that are sugary and sticky. This is a good idea not only to keep your breath from smelling but also to prevent your risk of tooth decay. Make a point of changing your toothbrush on a regular basis. Your toothbrush should be replaced if it becomes frayed or every three months. If you have been sick, you should also replace your toothbrush.